Nearly 30 years after it was written Syd Field’s Screenplay: The Foundations of Screenwriting; A step-by-step guide from concept to finished script is still considered a must read for all aspiring screenwriters. It was one of the first books recommended to me by a producer after I sent him a half-baked query letter and it really helped me in my screenwriting development. Field’s main contribution to screenwriting is clearly defining the three act structure into a concise paradigm. I read somewhere that this “groundbreaking revelation” wasn’t a revelation to people in the industry, in fact the 3 act structure has been around for literally thousands of years, but he spends so much time talking about it in his book that it becomes very clear just how important this really is to writing a Hollywood movie. The main thing you will get out of this book is how to structure your screenplay into the three act structure, or the ‘paradigm’ as he calls it, with a plot point at the end of the first and second acts. Much has been written about the paradigm since and many people have tried to expand upon it, but there really isn’t a lot more to it then what Field covers in his book and most of the expansion on it that I’ve read usually overly complicates something that isn’t that complicated. Field spends enough time on all the other aspects of screenwriting including basic formatting, character development, writing dialogue and he uses enough real examples that after reading this book you should basically understand the mechanics of how to write a screenplay. Actually writing a great screenplay will takes years of practice but this book really does serve as a launching pad for anyone who’s ever wanted to write a screenplay. You’ll want to see the movie Chinatown before you read this book (if you’ve seen it, watch it again) as he draws a lot of his examples from it. You will want to read the Chinatown screenplay, too, so you can really dig into the syntax and pacing of a good screenplay and follow along as Field talks about it. Field’s second book, The Screenwriter’s Workbook, is pretty good, too, and I actually found it a bit more easy to use as it’s a workbook for writing your script and goes through the process step by step always keeping the paradigm in mind. It covers a lot of the same ground that’s covered in the first book but I think it’s worth reading, too. 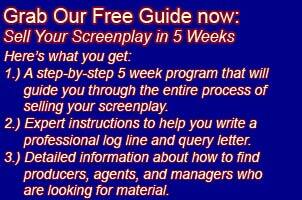 Click here to buy Syd Field’s second book, The Screenwriter’s Workbook from Amazon.com. Click here to buy the DVD of Chinatown from Amazon.com. Previous post: Should I put my WGA registration number on my screenplay?